Fancy cars and bikes are made for people to stare at. They have power and elegance and basically, show themselves off. Some people just take it one step too far and try sbe cooler than everyone else. It can make a pretty great show if the driver actually knows what they are doing. 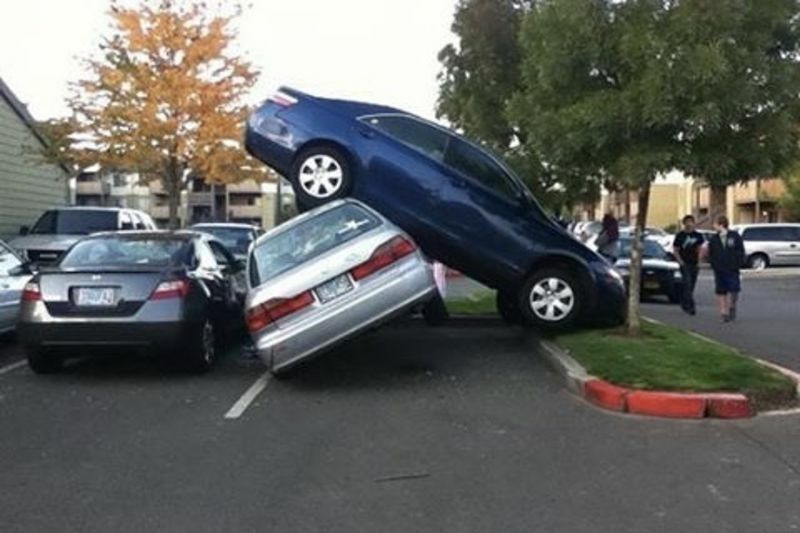 Unfortunately, these drivers evidently didn't have a clue and their show off moment ended in a very expensive mistake. With great power comes great responsibility, as Spiderman's uncle Ben said, but the roar of such a powerful engine can be dangerous when it is driven by the wrong person. Expensive cars make people feel powerful. Possibly more powerful than they actually should but this is a perfect example of what happens when you show off your wealth a little too much. Vanity is one hell of a drug! Video: Craziest Road Rages Of The Year! Video: All-new Bmw M5 Teased Prior To The Frankfurt Reveal! Video: 6 Cars That People Love To Hate! Video: Cars Will Soon Prevent Accidents Before They Occur! Video: What Happens When You Put Your Car In Reverse While Doing 40mph!? Video: 7 Exhaust Pipes That Make Expensive Cars Look Cheap! Video: The New Rolls-royce Could Be The Most Expensive Car...ever!! Video: The Largest Modified Truck Show In America Has Some Totally Insane Rides! Chris Evans Has Just Quit Top Gear. Who Will Take The Reigns Now? The Former Top Gear Trio Have Named Their New Amazon Show And It Sounds Pretty Boring!